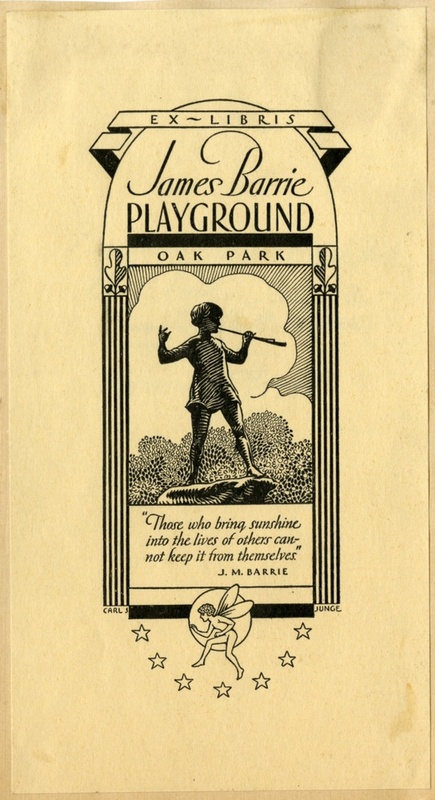 Pictorial-style, institutional bookplate for the Playground Board of Oak Park in Illinois. Features an image of the statue of Peter Pan with additional quotation by J.M. Barrie below that reads "Those who bring sunshine into the lives of others cannot keep it from themselves." 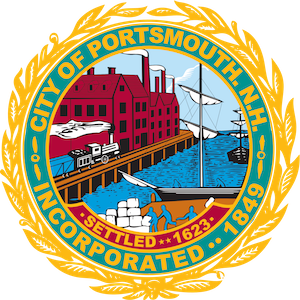 ~ Carl Junge, “Ex Libris James Barrie Playground, Oak Park ,” Portsmouth Public Library's Online Archives, accessed April 19, 2019, http://portsmouthexhibits.org/items/show/1588.